Bringing together an international team of researchers, this volume explores practice in second language learning - activities which aim to develop skills in or knowledge of a second language. 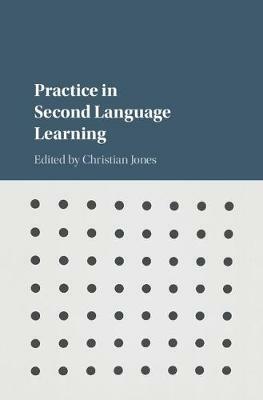 The book begins with two theoretical overviews of practice as applied to learning to speak in a second language and in cognitive accounts of second language acquisition. This theory underpins the volume, which is split into two main sections: receptive and productive practice. The studies look at practice in English, German and Spanish as a second language in various contexts including traditional classrooms, periods of study abroad and online language learning. The differing research designs used mean that the chapters contain clear implications for classroom pedagogy and further directions for research, teaching and learning in different contexts.